If you liked this show, you should follow Ask The Cat Doctor Talk Radio. 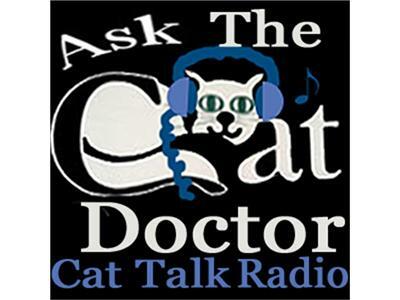 In this broadcast of Ask The Cat Doctor Talk Radio, we are joined by guest Jenny Dean from Floppycats.com, the popular website about Ragdoll cats, to discuss and share some of our favorite cat products and why you should check them out! This episode is sponsored by Pet Flow, the leader in pet food and supply delivery services. We also take your questions, whether on this topic or any other topic, since no question is too big or too small! Cat talk radio with feline veterinarian Dr. Shelby Neely is the place to learn everything you could ever want to know about cats. Join us every Sunday and Wednesday and call or write in with your own personal cat questions at http://www.askthecatdoctor.com/cat-talk.html . For more on these and other cat health and news topics, visit Dr. Neely's website at www.askthecatdoctor.com, which was chosen as the Best Cat Health Website in 2012.